Oftentimes, gymnastics is about timing. Just like many elite stars are left off the Olympic team, sometimes the stars don’t align for every J.O. gymnast to compete at nationals. There are some incredibly talented gymnasts who, for various reasons, didn’t compete at the national championships this year, and we wanted to take the time to highlight them before they take the NCAA world by storm next season. Baumann is a former junior elite gymnast (and the sister of former elite and current Florida gymnast, Alyssa Baumann) who dropped back down to level 10 after the 2015 season. In 2016 she competed in the Nastia Cup, placing seventh in the all around. She also had a stellar showing at last year’s J.O. nationals, winning balance beam and placing second in the all around. 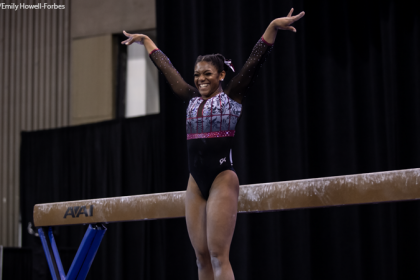 While we only saw her compete twice during the 2018 season, she did win the WOGA Classic and announced last month she plans to join the Gymdogs a year early. We missed her at nationals this year but can’t wait to see how she helps Georgia in 2019. She’s a fantastic athlete, and we love a good SEC sibling rivalry. Coming off of an impressive 2017 season where she placed first all around at J.O. nationals, Bordas competed twice in 2018, winning both the Alamo Classic and the Metroplex Challenge. She also qualified for the Nastia Cup, but was presumably injured before getting a chance to compete. Nevertheless, she has had a storied career full of numerous top-three finishes, and we can’t wait to see her shine at Cal next season. We missed seeing Brovedani at nationals this year after she just missed qualifying with an eighth-place finished at the incredibly competitive Region 1 regional championship. She nonetheless had a strong 2018 season with a number of top 10 finishes, and we look forward to seeing more routines, like this 9.725 balance beam routine, at Washington in the fall. This 2016 J.O. 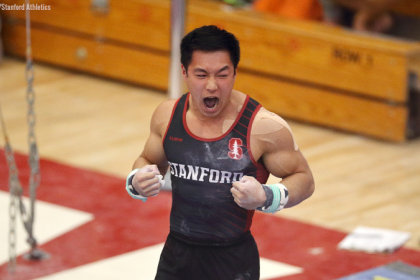 national floor champion and 2016 and 2017 fourth place all around finisher was notably absent from the big meet this year. While we were sad not to see her in competition at all in 2018, we look forward to more dynamic routines (especially if they include more stuck double Arabians like this!) when she competes at Georgia next season. This future Razorback competed at both the 2016 and 2017 J.O. national championships and finished 33rd and 29th, respectively. In 2017, you might remember her terrific 9.800, third-place vault. Elswick competed in just one meet this year—the Alamo Classic—where she finished second in the all around and performed this HUGE DTY. She then announced on Twitter she was on the comeback trail. We’re looking forward to seeing more vaults like this in the future once she’s all healed up. This WOGA gymnast (not to be confused with the former LSU gymnast with the same name) has been an active competitor on the J.O. scene for the past few years. In 2016 she placed 16th in the all around at nationals, and while she was a regional qualifier this year, we did not see her at J.O. nationals. We look forward to seeing her at Michigan State in the fall. 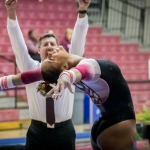 Mariani’s last meet of the 2018 season was the California Grand Invitational where she competed on two events. She previously had top 10 finishes J.O. nationals for the past three seasons (2015-2017), and last year she finished fourth in the all around. While we missed seeing her in postseason competition this year, we have no doubt that she has the potential to be a force at Michigan. Take this training video of her Yurchenko 1.5 for example. Mizuki competed at her state meet this year where she placed first on beam, floor and in the all around. She has had a number of top 10 finishes in her level 10 career and will certainly be a strong all around competitor for Illinois next season. Check out her first place floor routine from state. Quarles (who was presumably injured this season) only competed once in 2018 after a strong performance at 2017 J.O. nationals where she placed fifth in the all around and second on floor. A highlight of her career thus far was a 9.900 scored on floor in 2016. We look forward to seeing a healthy Quarles at Denver next season. We were bummed not to see this future Illinois gymnast at Jnationals, especially after she scored a 9.925 on beam at state earlier this season. This former Nastia Liukin Cup competitor was also a first place finisher on the vault and in the all around at J.O. nationals in 2016. We are looking forward to seeing her continue her remarkably successful career at Illinois in the fall with more strong performances such as this one. You might remember this former junior elite gymnast from Chow’s for her beautiful artistry on bars and beam. She retired from elite in 2015 and has since been training at Winner’s Gymnastics, competing as a level 10. She competed a couple times in the 2018 season, but we didn’t see her at J.O. nationals or in any post-season meets, which only adds to the anticipation of seeing her light up the competition floor at Denver in 2019. Relive her beautiful national-championship-winning performance on beam at the 2014 P&G championships.